New hotel in Senegal has almost 15,000sqm of meeting and event space, along with 152 guest rooms. 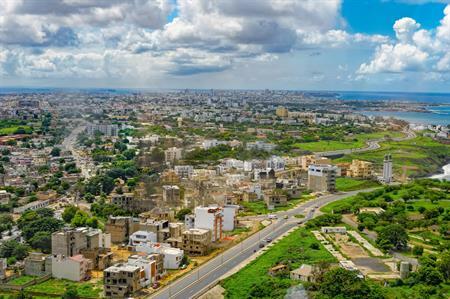 Carlson Rezidor Hotel Group has opened its second hotel in Dakar, Senegal. Radisson Hotel Dakar Diamniadio, is a 152-room hotel with a unique congress center that will provide 14,700sqm space for large scale exhibitions, conventions and events. The Diamniadio is located just 12 miles from the new Dakar Blaise Diagne International Airport. Andrew McLachlan, senior vice president, business development, Africa & Indian Ocean, Carlson Rezidor Hotel Group said: "Dakar is one of the largest MICE business hubs in French-speaking West Africa, one of the many reasons we have earmarked Dakar as a city for scaled growth across our portfolio of brands." For guests seeking rest and relaxation or to keep fit and in shape, the hotel also houses a wellness spa and a gym.